Are you looking for a versatile vehicle? Ford has you covered with one of the most comprehensive and extensive sport utility vehicle lineups in the industry. That said, even some of Ford’s sedans and hatchbacks also stand out in the versatility department. So, in order to help you find the Ford model that has the trunk and interior space you need, we have highlighted five Ford models that standout when it comes to cargo and passenger space. Yes, the Ford C-Max is the first model on this list, and it’s not an SUV. That said, the C-Max is truly impressive in the cargo space department especially given that it is a hybrid vehicle. With all seats in place, the C-Max can hold nearly 700 liters of cargo space (544 in the C-Max Energi). If you lower the rear seats, cargo space can climb to almost 1,500 liters. The Ford Explorer offers three rows of seats and a cargo area that offers nearly 600 liters of cargo space even when all three rows are in place. When you need more space, lower the third row of seats and take advantage of 1,115 liters of interior space. The Ford Edge features 1,110 liters of cargo space when all seats are in place, and more than 2,000 liters of space when you lower the rear seats. Built as a midsize SUV, the Ford Edge features impressive interior volume as well. The Ford Flex is basically Ford’s minivan even though its rugged design is clearly an SUV. 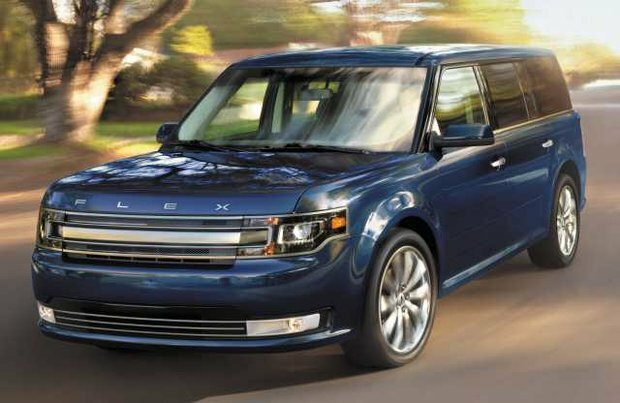 With three rows of seats offering plenty of leg and headroom, the Ford Flex is also incredibly spacious in the trunk with 415 liters of cargo space with all rows in place. Lower every seat and you get 2,355 liters of cargo space. The Ford Escape is one of the best-selling vehicles in its segment, and part of that is because of its nearly 1,000 liters of cargo space. 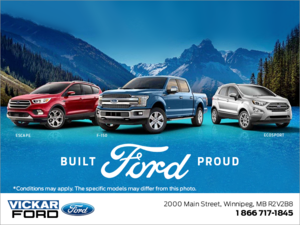 To learn more about Ford’s lineup of spacious and versatile vehicles, contact us today at Vickar Ford!